Who is the artist behind Art Of Lamp ? Jean-Luc Godard is a self-taught artist whose focus is on sculptural lighting, and who has a passion for wood and metal. Originally born and raised in France, he moved to the United States in 1989. His sculptural lighting pieces focus on organic designs and minimalist concepts. His creations directly respond to the surrounding environment and his everyday experiences serve as a starting point for those works. 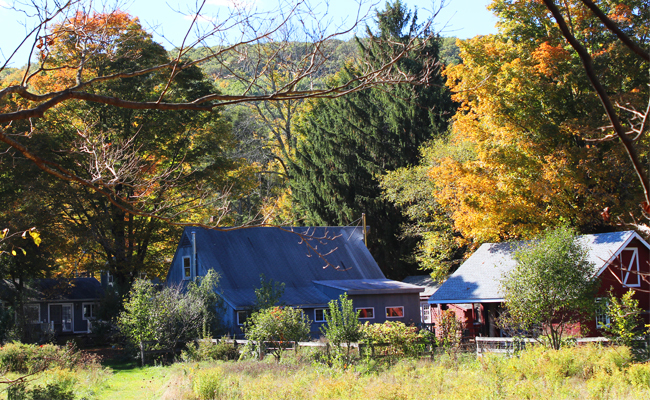 The Art of Lamp studio is located at the edge of a nature preserve in the rolling foothills of the Berkshires in Northwestern Connecticut. The meadow just outside the studio is filled with wildflowers which attract a variety of species providing limitless inspiration for our work. I design and hand craft all of the pieces produced at the Art of Lamp studio. Since my teens, I’ve been designing and making custom furniture. I have also been a professional custom sign maker for the past decade, however my true passion, sculptural lighting, is what drives me to spend countless hours bringing my ideas to life. I pride myself on having a keen eye for choosing the perfect materials, those with beautiful natural curves and unique grain to the wood, which make my pieces unique and which define my work as that of a naturalist. As is evidenced through the website, my work is not confined to one specific style or theme. While others may develop one style and reproduce countless versions of it, for me, the creative process is a journey that takes you to places limited only by your imagination. Many have asked me, “What is your creative process ?” An excellent question that all artists should ask themselves. After much thought, I can confidently reply: Association, Transformation & Expression/Execution.